An eminent biblical proverbialist once said that, ‘where there is no vision, the people perish’. Thus, without a clear and credible understanding of what our life’s purpose ought to be and where we ought to be heading as a country, destruction is imminent. 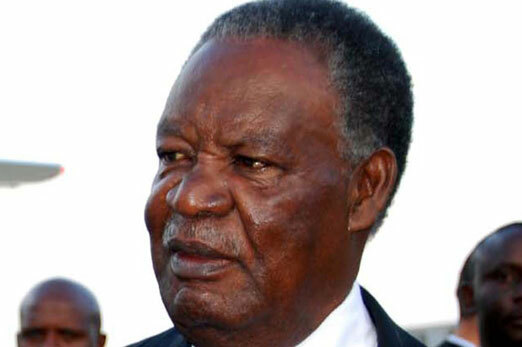 Since September 23, 2011 when President Michael Sata ascended to the highest echelons of power in our country, his leadership has been chaotic making many people uncertain about his leadership and future of our country. Apprehension among our people is because of Sata’s lack of essential capabilities needed in a national leader to engender and sustain a vision for our country. To expect well-ordered leadership from Sata than what we have seen so far is like milking blood from a stone. Sata’s confused leadership adds to one thing that he lacks capacity for knowledge, rational thought, and vision. It is not enough to be a democratically elected president and to have a momentous swearing in ceremony witnessed by thousands of people if one lacks capacities that add up to good leadership. It is important that a president and his government establish a vision for the future and set a deliberate strategy to cause the needed change. It seems Sata is not in a position to build a new dawn for our people, as he is far not up to our people’s expectations. His actions lack vision, and as they say, ‘….action without vision is a nightmare.’ These ‘nightmares’ can be seen in Sata’s disappointing performance from appointments of the cabinet dominated by people from his tribe and region, appointing of corrupt leaders and lack of direction in the fight against corruption. He has also conspicuously demonstrated severe lack of presidential etiquette, sudden U-turn on his promises, undemocratic way of creating districts, and moving of towns to other provinces, and not to mention the topsy-turvy government structure that have dashed hopes of many people. Surely, our country deserves a visionary leadership. It is incontrovertible that Sata has failed to present a challenge that calls forth the best in the people from different tribes and regions of our country to bring them together around a shared sense of purpose. He clearly lacks the aptitude to work with the power of intentionality and alignment to people’s aspirations. As a result, we do not have a higher purpose as a country. In the 2011 elections, people were deceived that Sata is a visionary leader with eyes on the horizon. People thought that he was a man of all the people and diligent actions, and a change agent. Conversely, it is now clear to many people that Sata is a pathetic divisionist and disorganised leader lacking a big picture for our country. He is therefore not able to think strategically and nationally. The inconsequentiality of Sata’s leadership is a clear indication that he does not only lack vision but understanding as well what a vision is, or why it is important for our country. In spite of the fact that Sata has been in power for almost four months, people are not able to get their hands on his vision. He has failed to convince people on his socio-economic development plans for our country. How long will it take Sata to share how he will put into action his plans to provoke greater socio-economic development activities in an environment left by the Movement for Multi-party Democracy (MMD) regime indubitably conducive for development? Sata’s anarchic leadership is giving an impression that he has no clue on how he will address critical issues underpinning our socio-political and economic development. Honestly, what convincing insight has Sata shared on how his government will impact on sustainable, concerted actions of policymakers and communities to promote the standard of living and economic health of our people? It is high time Sata addressed real issues in particular how his government’s socio-economic development policy will deal with the development of human capital, critical infrastructure, regional competitiveness, environmental sustainability, social inclusion, health, safety, literacy, and other initiatives. It is also regrettable that Sata is not able to give our people an inspirational political thinking and engagement on how his government will create more and better job opportunities for the mass unemployed Zambians. We need a multi-pronged strategy to raise employment and support inclusion and social cohesion. High unemployment in our country means that young people are not acquiring the skills or experience needed to drive our economy forward. Our people are fed up of populist politics and want Sata to make them have a glimpse of his mission, purpose, values and strategic intent for our country. Without a clear vision our country will not set sail on the road to any form of development. There is no leader who can inspire an attractive future for a country without a realistic and credible vision. As long as Sata does not plan tactically, socio-economic development will remain an aspiration difficult to achieve. Development in any form only happens when a leader is able to plainly provide economic and social purpose and direction to a country. If truth be told, what is inspirational about Sata’s leadership on socio-economic development? What is Sata’s strategic plan for socio-economic development that our people can support so as to realize a future that is envisioned for the whole country? It is unfortunate that Sata is squandering his time by preoccupying himself with flippant political issues such as a witch hunt, fighting opposition leaders, and paving the path for nationalisation which has failed dismally throughout the world. This is the right time Sata supposed to be attracting commitment and enlivening our people for his socio-economic development plans that they should support. The fact that Sata has no vision for our country is the cause of his lack of a genuine and serious motivational effect. It is difficult for people to see capacity and commitment in Sata to generate and sustain a credible vision for the socio-economic developmental course our country needs and it supposed to follow. It is also true that Sata is not a leader with qualities that can increase the commitment of our people to work hard towards achieving socio-economic development. Neither is he a person able to transmit energy to our people to give them a new sense of hope and confidence in achieving their aspirations. How can you be a transmitter of energy when you do not have the energy needed? You can only give what you have! In this 21st Century, we need a leader who has regard for people’s consent. We are a democratic state where the PF government’s power comes from people, and multiple views on how to develop our country should be listened to. Sata’s tendency of heavy-handed leadership should not be tolerated. He is stifling our democracy. He is also exceedingly poor at listening, consultations and dialogues that can help him fine tune his muddled leadership. This explains why he is extremely poor at promoting partnerships and creating a sense of vision meaning with other people. Sata should move away from the ‘one-man leadership’ if he is to develop a national team spirit and learning to empower relationships and innovative actions that instigate socio-economic development in our country. Surely, we need a leader able to work democratically with his imagination, insight, and boldness to build our country. A leader who is committed to values that embody a sense of personal integrity to serve a very important function in establishing balanced standards in our socio-economic development. Sata lacks the ability and political impetus for excellence making it hard to motivate and unite people. He is too compromised to inspire unity and excellence that can serve as continuing goals and stimulate quality improvement in the lives of our people. In all honesty, what measures of the worth of Sata’s leadership has he provided for our people to feel one and genuinely rally behind his leadership? He has no vision to describe his ideals and priorities, a picture of the future, a sense of what makes us a diverse country. It is hard to understand the core set of principles that Sata stands for apart from what he falls for. To our President, His Excellency, Michael Chilufya Sata, please provide us with a visionary leadership. We need a vivid and credible system of fundamental motivating assumptions, principles, policies, and values that can guide socio-economic development in our country. As long as Sata and his government have no guiding philosophy for the development of our country and lack a tangible image all people in this country can identify with, we will remain undersupplied with national leadership and vision. The very essence of leadership is that you have to have a vision. You cannot blow a trumpet you do not know. If Sata and his regime do not engender a vision for our country, their actions are just passing time. It is a vision and diligent actions that can change our country for the better.